Without Tim Burton’s Batman we probably wouldn’t even be here doing this whole fun exercise. It wouldn’t be unreasonable to rank this film in the Top 10 based on legacy alone. Batman was the patient zero for comic-book movies. Before Burton’s 1989 classic, comic-book movies were for kids, or at best “family friendly” and after Batman, they could be for anybody. 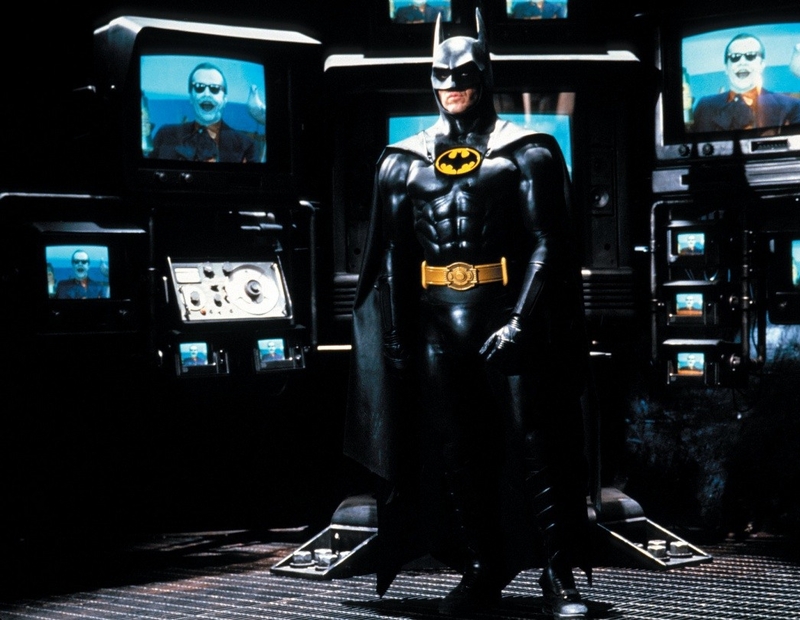 The dark, gritty aesthetic provided a tone closer to the chaos of carnival horror than it was to the campiness the adaptations of the past – remember that many still thought of Batman as an Adam West ridiculous-a-thon at the time. Even films that had previously found success – like Richard Donner’s Superman – stayed in a safe lane and didn’t serve to open the source material up to a new audience. Batman wasn’t just a good movie, it was “cool” and that was the first, and arguably most important hurdle, that this genre had to overcome. The look, feel, and mature subject matter was something that appealed to dads and teenagers. In fact, the movie went so far in trying to prove it was “adult” that it made a few major mistakes that keep it so low on my list. Anyone who listens to The Cross/Over knows that after re-watching this film, I was flabbergasted by the body count that Batman racks up. A character who is supposed to have one rule breaks it over and over again in this first telling of his story. Other than having his parents die tragically in an alley as a kid and putting on a cowl to go out fighting crime at night, the film completely misses the heart of the Batman/Bruce Wayne character. The Joker is given much the same treatment. As entertaining as both Michael Keaton and Jack Nicholson are, they are more playing archetypes from American westerns and gangster films than they are their actual characters. Burton famously said in interviews that he isn’t a comic-book fan and that he never read the source material … and it shows. It’s a perfectly enjoyable movie for anyone who doesn’t care about those things, but other than two guys in funny outfits, it really is just a standard Hollywood action movie. The flick has aged pretty well, in large part due to the phenomenal set design, good acting, and an absolutely stellar soundtrack. The unfortunate thing is that it set a precedent that lasted for over a decade that these adaptations only had to be loosely related to the original ideas. The first film on this list, Man of Steel, is often ripped to shreds on these same grounds. It would be hypocritical to pretend like collateral damage in Metropolis, or the undermining of powerful female X-Men, are bigger problems than a Batman who kills somewhere in the neighborhood of 20 people depending on how many were in a building that – I swear to you – he blows up with a bomb in a drive-by. It loses some points for being a kind of backhanded compliment to comic-book lovers. “Your characters are cool. Your stories? Not so much.” But still it’s a great movie to watch and without it, we might not even be here.